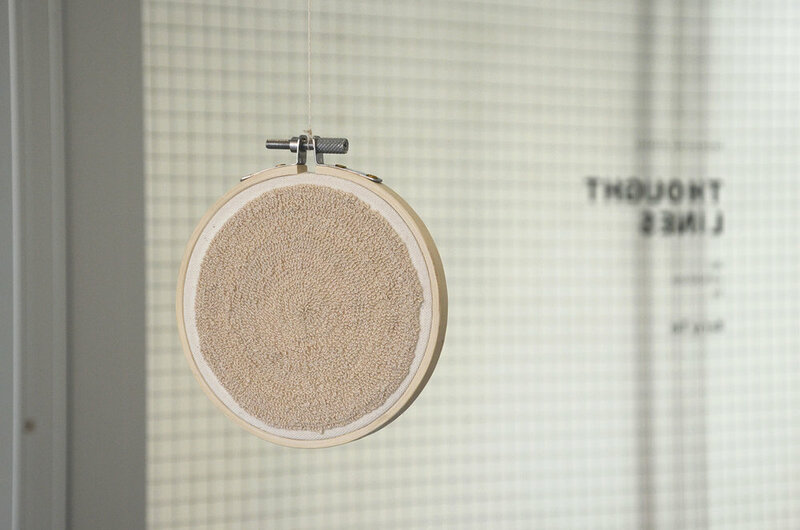 In my first solo exhibition, I presented a series of twenty abstract embroideries, reflecting on the medium's obsessive nature through the repetitive motion of stitching. Each study was created by adhering to sets of written rules, based on thought patterns that manifest within my personal anxieties. 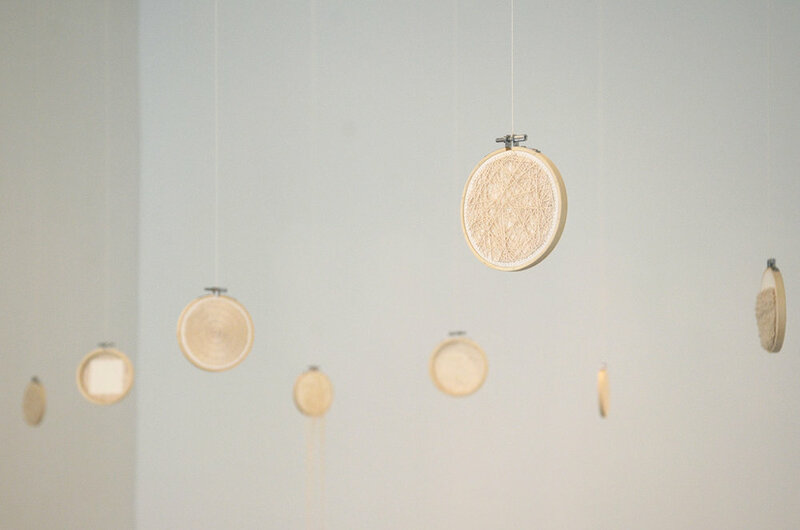 Rejecting the image-making typical of traditional embroidery, I concentrated on meticulously enacting these systems. 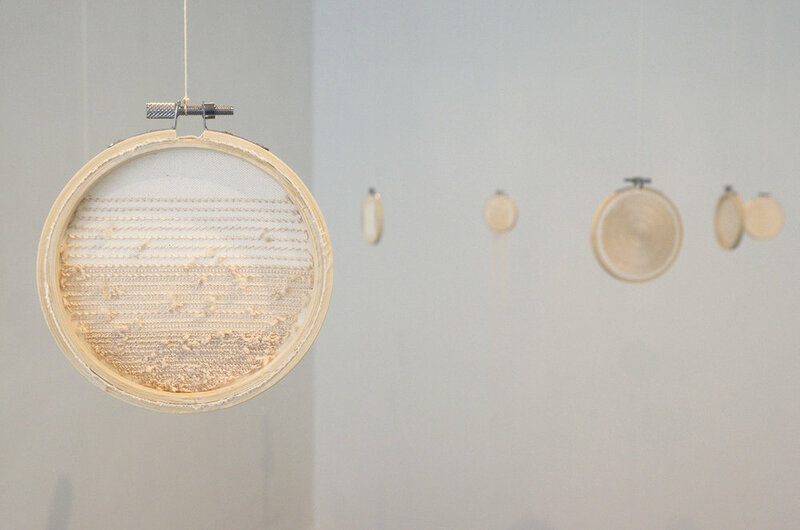 Yet, there remains a latent tension between the mechanical and the human – the pieces are intensely structured at first glance, but closer inspection reveals how every decision, inconsistency and workaround is recorded in thread. 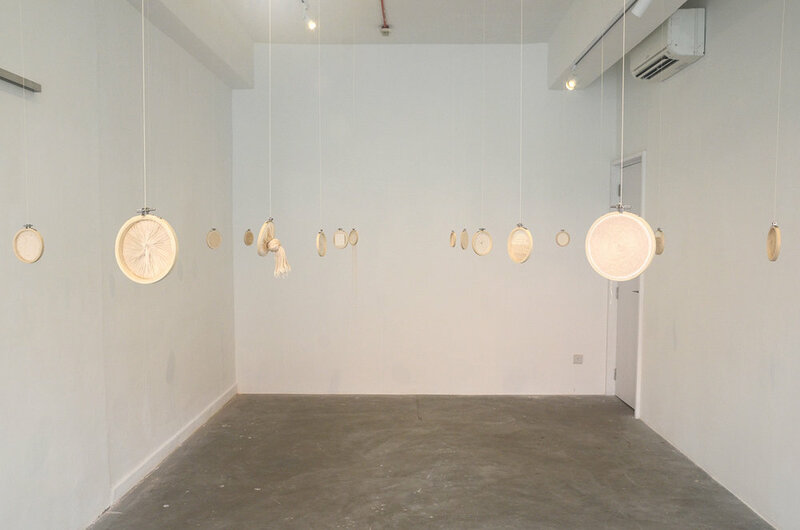 The series thus seeks to inhabit an ambiguous space where the delicate and the compulsive, the therapeutic and the torturous all coexist; where the desire for control also keeps perfection out of reach. Click here for the full documentation of all twenty studies. 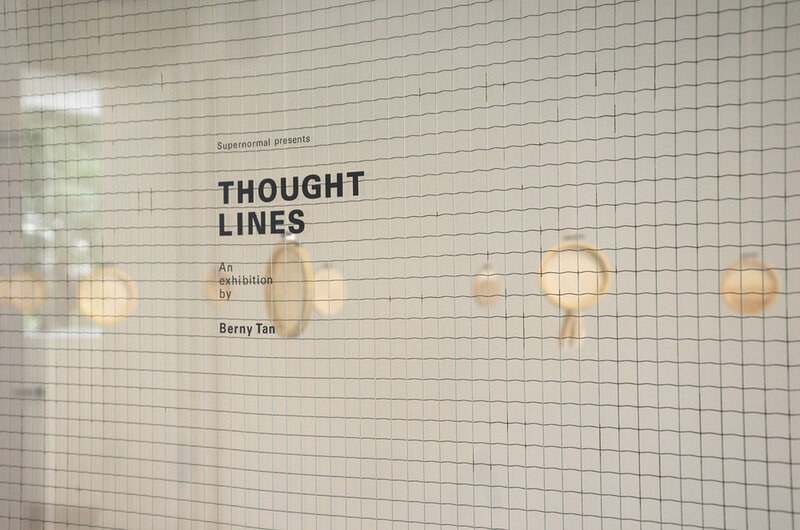 Thought Lines was exhibited from 11 to 28 January 2018 at Supernormal [Singapore]. The accompanying rules were printed in a companion publication designed by Modular Unit.